A Type B medicated feed, this dewormer is an easy one-day treatment with the active ingredient in Safe-Guard® (fenbendazole) 1.0% strength. 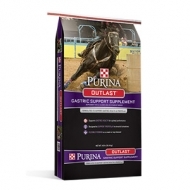 It is ideal for hard-to-paste horses, weanlings and yearlings on feed. For the control of large strongyles (Strongylus edentatus, S. equinus, S. vulgaris, Triodontophorus spp. ), small strongyles (Cyathostomum spp., Cylicocyclus spp., Cylicostephanus spp. ), pinworms (Oxyuris equi), and ascarids (Parascaris equorum). 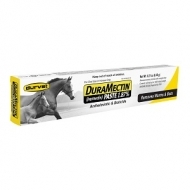 DuraMectin™ (ivermectin) Paste provides effective treatment and control of a large number of parasites in horses including (but not limited to) Triodontophorus spp., Large and Small Strongyles, Coronocyclus spp., Cyathostomum spp., Cylicocyclus spp., and Cylicodontophorus spp. Please see full description for a list of all parasites. 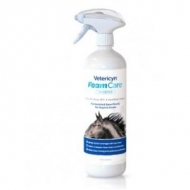 Vetericyn FoamCare™ Medicated Equine Shampoo is specially formulated to alleviate and manage skin ailments common to horses. This medicated shampoo aids in relieving itchy, dry, scaling and irritated skin as well as treating fungal skin disorders, rain rot, ring worm, and yeast. With its innovative foaming spray applicator, FoamCare is applied evenly with less mess—simply from the squeeze of a trigger. Vetericyn FoamCare supports optimal skin & coat health and is non-irritating, pH optimized, and retains the essential oils in your horse’s skin. It’s the new easy on, easy off shampoo that makes bathing your horse more fun with less stress! 32 ounces. 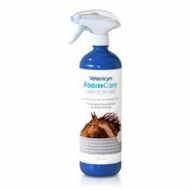 Vetericyn FoamCare™ Equine Shampoo is specially formulated for equine hair- providing the best in coat cleaning and conditioning, with optimal rinsing. With its innovative foaming spray applicator, FoamCare is applied evenly with less mess—simply from the squeeze of a trigger. Vetericyn FoamCare supports optimal skin & coat health and is non-irritating, pH optimized, and retains the essential oils in your horse’s skin. It’s the new easy on, easy off shampoo that makes bathing your horse more fun with less stress! 32 ounces. Vetericyn Plus Equine Wound and Skin Care is the perfect addition to your stable needs. 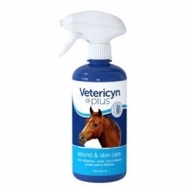 Specially formulated to be non-toxic and steroid free, Vetericyn Plus Equine spray is the perfect way to clean and debride any wounds that may occur in the everyday lives of your horses. This product is also safe for the eyes, ears, nose and mouth in addition to being a great regimen for skin rashes and sores. 16 ounces. 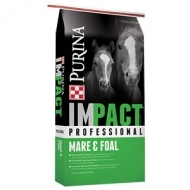 Formulated with added amino acidsincluding lysine and methionine to support breeding nmares and growing foals. Added fat to meet the caloric demands of breeding horses and to support haircoat shine and bloom. Vitamin and mineral fortification to support bone strength, muscle and immune function. Controlled starch and sugar, formulated with no corn or corn by-products. Formulated by Ph.D. Equine Nutritionists with ingredients proven through time and research to support overall horse health and performance. View Guaranteed Analysis and more information on this product. eZall has combined science and technology with Mother Nature. This powerful defense against pesky flies and insects is both environmentally-friendly and safer for you and your animal. 32 Oz. RTS and gallon refill. A truly new alternative to traditional fly products containing pyrethrins or essential oils. 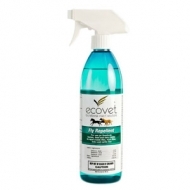 Ecovet is a proprietary mixture of natural food-grade fatty acids and silicone oil. These are blended with our special fragrance that includes sage and lavender. Our sprayer and bottle combination was designed to provide an easy-to-hold application system that allows for a more pleasant spraying experience. Ecovet creates a "zone" of repellency that prevents the pests from landing on your equine friend. Life Data® Hoof Clay® is a pliable antimicrobial clay which easily packs and remains in place within hoof defects, old nail holes and cracks. 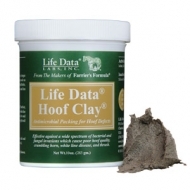 Life Data® Hoof Clay® provides continuous long-term protection against a wide spectrum of bacterial and fungal invasions which cause poor hoof quality, wall separations, crumbling horn, white line disease, and thrush. 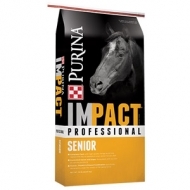 A pelleted complete horse feed designed for mature horses. 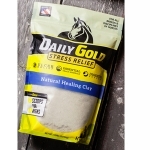 Essential Organic Minerals support normal tissue maintenance in aging horses. No corn! Helps to keep NSC (non-structural carbohydrates = sugar + starch) levels low. Less than half the sugar and starch of oats for improved behavior. Optimal balance of essential amino acids to support again and muscle maintenance. Essential fatty acids, Omega 3 and 6, required for healthy skin and haircoat and support of normal tissue function. 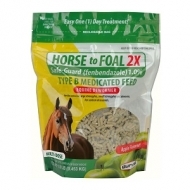 A textured horse feed designed for mature horses. No corn! Helps to keep NSC (non-structural carbohydrates = sugar and starch) levels low. Less than half the sugar and starch of oats for improved behavior. Higher fat and highly digestible fiber for top performances and sustained energy. Optimal balance of essential amino acids to support aging and muscle maintenance. Essential fatty acids, Omega 3 and 6, for healthy skin, haircoat and support of normal tissue function. 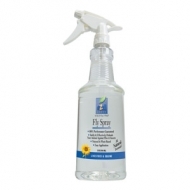 Provides built-in, invisible, odorless insect protection. Repels mosquitoes, ticks, flies, and fleas (including insects that cause Lyme disease and West Nile). Comfortable design keeps the mask off the face and away from the eyes of the horse. 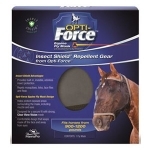 Fits horses from 900-1200 lbs. Designed for a secure fit with strong, clear view vision mesh. 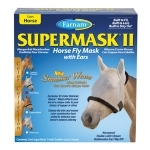 The SuperMask® II Horse Fly Mask Classic Collection provides your horse with the best in fly mask protection. 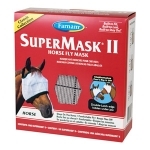 This trusted fly mask for the one you love comes in the traditional barn colors of hunter green, burgundy or navy blue trim. 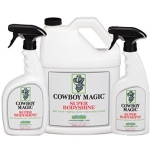 COWBOY MAGIC® SUPER BODYSHINE® is formulated to give hair a super shine. 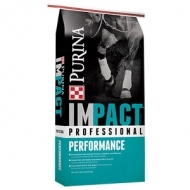 Helps repel show ring dust and dries fast. 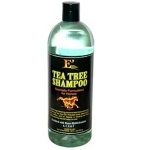 A gentle high lathering concentrated horse shampoo containing Tea Tree Oil. Provides deep cleaning for dirt, build-up, and oil. Assists in keeping hair soft while restoring natural luster to coat. Fortified with Nano MultiVitamins A, C, E & F, which are NanoEncapsulated in a sustained and controlled delivery system. This causes better absorption, penetration and diffusion of the vitamins, which helps prevent inflammation and aids in the healing process. is formulated to provide the essential minerals and vitamins that an equine requires as well as the level of Ascophyllum nodosum for maximum blood flow and nerve health in a 1.0 lb. per day feeding rate. 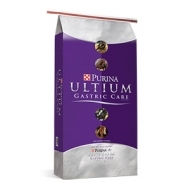 It provides the same level of micro nutrients as 4.0 lb. of Total Equine™ or Total Equine© LNSC. Total Equine™ Essentials is formulated to reduce to a minimum the amount of NSC in the ration. This makes it safe for all equine including Insulin Resistant horses. Total Equine® LNSC is formulated and designed for the horse suffering from Insulin Resistance or Cushing’s Syndrome. It contains 16% Non-Structural Carbohydrate. When fed with hay it provides a ration that is safe for any horse with IR or Cushing’s. 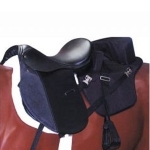 Rugged, 100 denier nylon or Southwest Dodgeville over shock-absorbing foam with nylon stirrup leathers, rigging straps and Pro-Tuff stirrups. Attaches to Mom's or Dad's saddle with strong Nylon straps. Thick foam-padded swell and cantle keep your Lil' Buddy securely in place. Works on Western or English saddles.